Many parrot keepers raise happy, healthy, well-adjusted parrots. What is their secret? How do they create happiness initially in their flocks and then continue to keep their parrots happy? Does parrot happiness lead to more beautiful parrots and to more enjoyable, fulfilling relationships between the parrot and the keeper? I find that they get their parrots involved in their routines and activities. Also, that they plan experiences for their parrots. Their satisfaction with their avian companions is hard to measure, but appears to be immense. 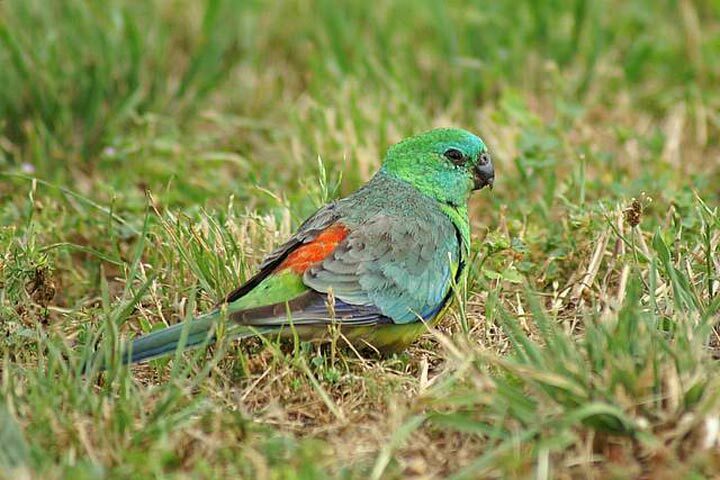 For those who work outside the home, who must leave their parrots several hours a day, this article may serve as a starting point to consider ideas to enrich the time the parrot spends alone and also with the owner. Well-adjusted parrots are thought to be content, inquisitive, curious, adventurous, alert, loving, confident, playful and sometimes even boisterous. In this article, the use of the term “happy” includes these attributes. A happy parrot is easy to recognize. Their eyes are sparkling and their body language is confident. 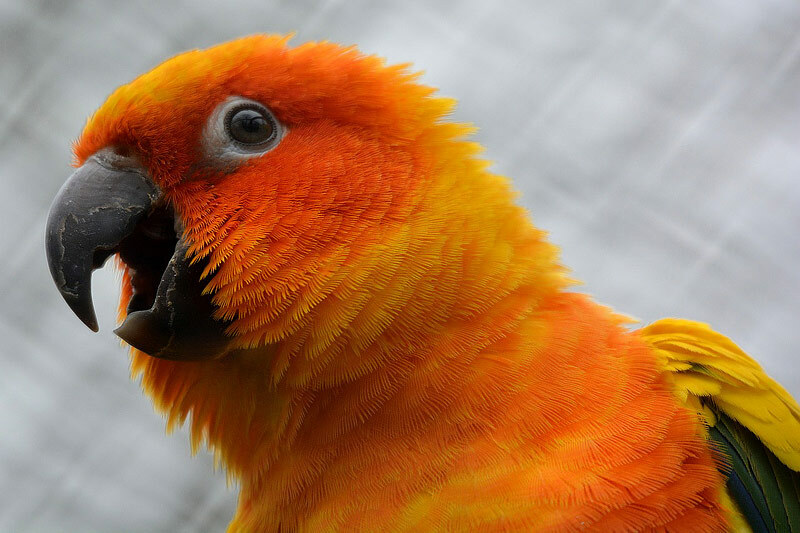 The photo of a happy parrot with his beak open calling to the world is a good example of a happy parrot. 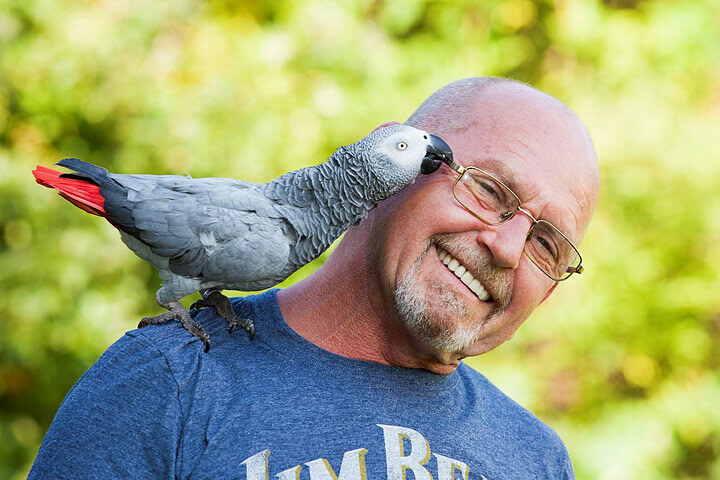 There are 2 things that we can do to make our parrots happier, which translates to being better-adjusted. 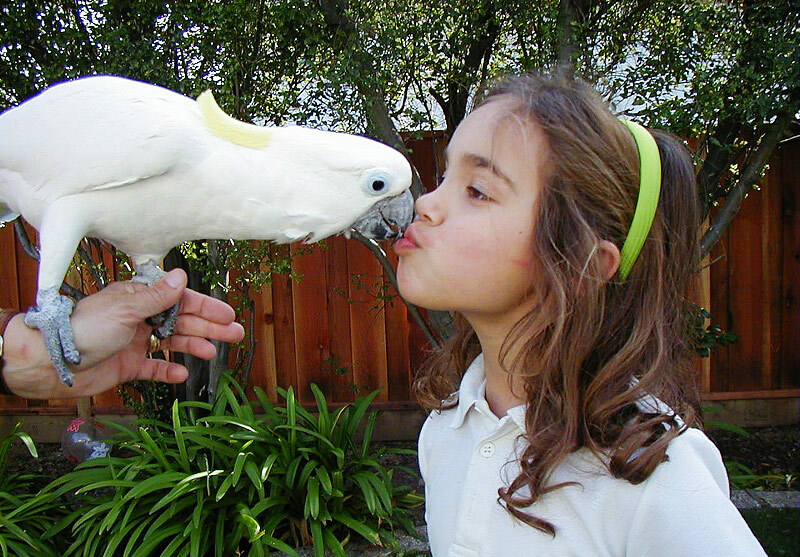 We can plan interactive activities with our parrots, get them involved in our lives, and we can plan activities to keep our parrots entertained when we can’t spend time with them. Daily chores are made lighter by the company of my parrots. I plan learning activities around my tasks. If I need to look for my red shirt, I take a parrot with me to “help.” When I am going to straighten a room, a parrot can watch. Take your parrot around the house with you. 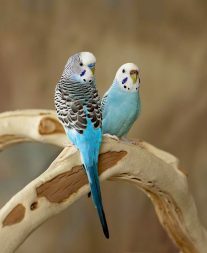 Keep an eye on their safety, like never dust or sweep in a room with a parrot as dust could irritate their nasal passages. Never take a parrot into the kitchen when the stove top might be on. 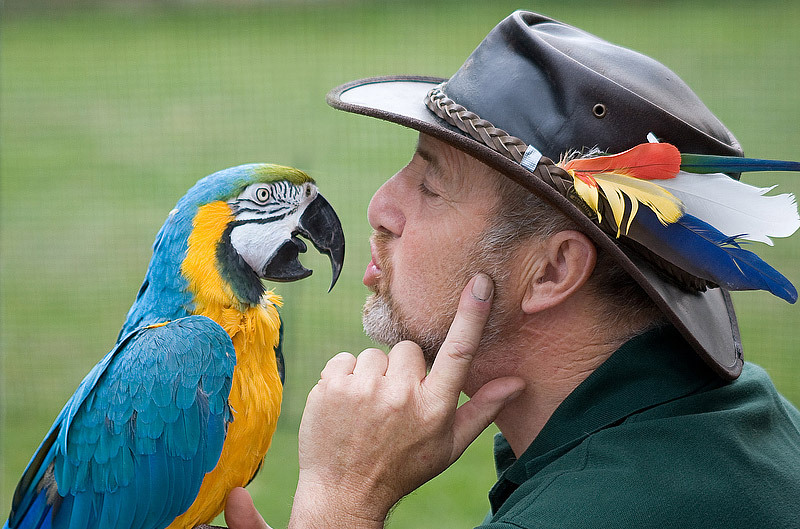 Planning learning activities and spending quality time with your parrots can be linked. I like to play games with my parrots and get them involved with me. Toss the ball off the playtree is the easiest game to start with. 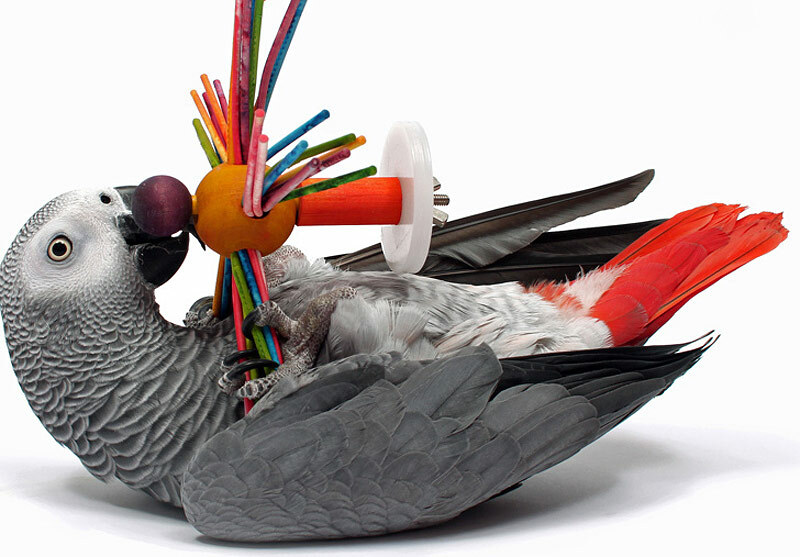 You can learn to train your parrots like Clicker Training. I am teaching my GSC2 to come to me when I wiggle my finger “come here.” This quality time is a way to show your parrot that you appreciate them. Parrots need to be appreciated. When I can’t spend time with my parrots, I plan activities for them. I hide non-spoiling foods around their cage for them to find while I am gone or busy. Pop up some air-popped corn and leave it in their treat dish for munching pleasure. I leave them a bowl of foot toys to play with. Threading tissue paper through the bars for them to tear up while I am busy elsewhere is a favorite. The radio or television set on a timer is also welcomed by my parrots. A new toy in their cage makes them not notice I am walking out the door as they happily explore its wonders. Parrots may like to watch each other, so plan their arrangement accordingly. I have 2 parrots that enjoy playing footsie with each other. Their cages are close enough that they can play and touch each others feet, but safely apart so one can not bite the others foot. 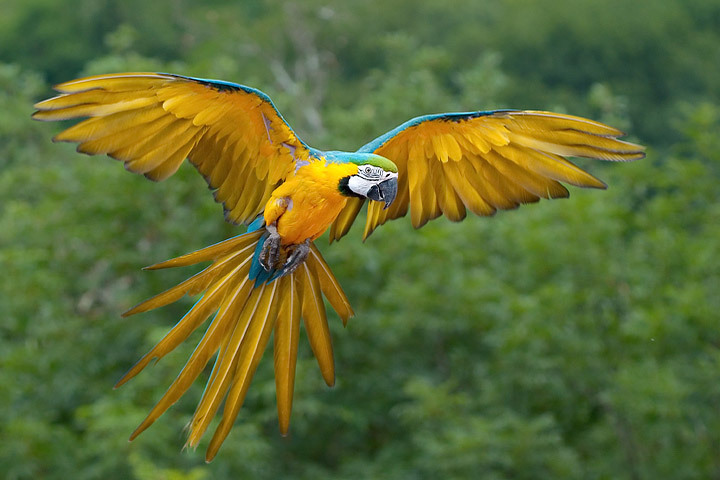 I have read that parrots are not a hobby, they are a way of life. If you can get them more involved in your life, then they will be more fulfilled, and your life more enriched. 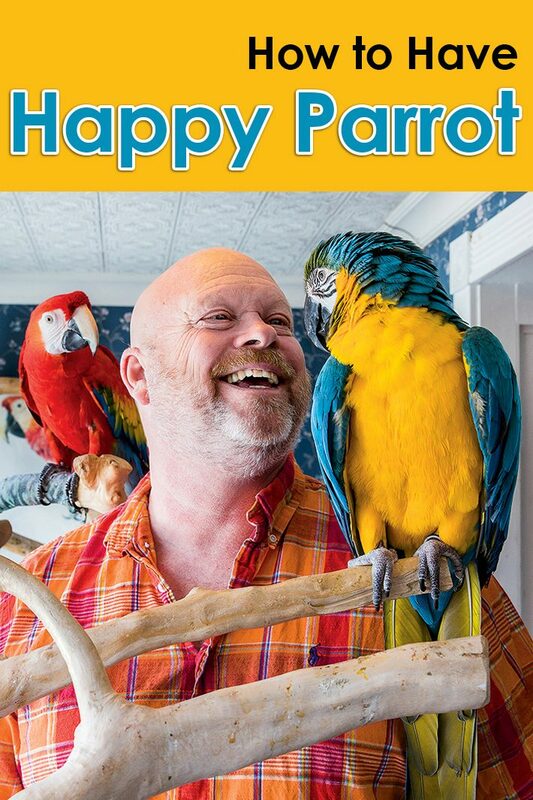 Enjoy your happy parrot.